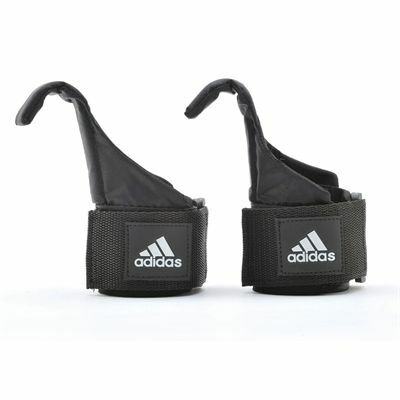 The Adidas hook lifting straps are perfect for heavy weight lifting. They increase the ability to lift or pull bigger loads and thanks to the Velcro closure, the wrists are supported very firmly which adds to the user’s comfort. Their sturdy hooks provide solid grip and accommodate any size bar or handle, while their ergonomic design relieves the stress on hands. The Adidas hook lifting straps are made from nylon and are great for dead lifts, shrugs, lat-pulls and rows practicing. for submitting product information about Adidas Hook Lifting Straps We aim to answer all questions within 2-3 days. for submitting product information about Adidas Hook Lifting Straps. We aim to answer all questions within 2-3 days. If you provided your name and email address, we will email you as soon as the answer is published. for submitting product review about Adidas Hook Lifting Straps.